Small and Lightweight but mighty powerful! 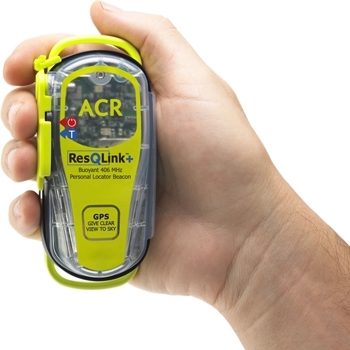 The ResQlink 2881 PLB (personal locator beacon) GPS enabled rescue beacon is perfect for anglers, pilots and explorers worldwide. Quick and accurate is the best way to describe this PLB 375. With 3 levels of integrated signal technology your position is sent out to a worldwide network of SAR (Search and Rescue) satellites quickly and efficiently by simply deploying the antenna and pressing the ON button. 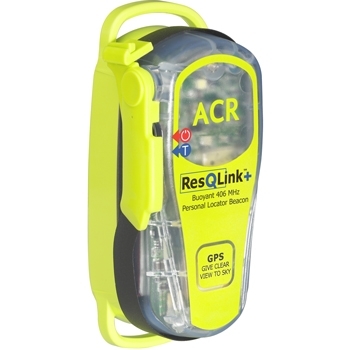 ResQLink+ guides rescuers to within 100 meters or less of your position and in the U.S with a GPS enabled PLB, SAR personnel are typically notified of your position in as little as 5 minutes. With the 2881 you can test the functions and verify proper operation routinely with the touch of a button. Make sure the internal electronics and GPS are properly functioning before you leave for your next excursion. 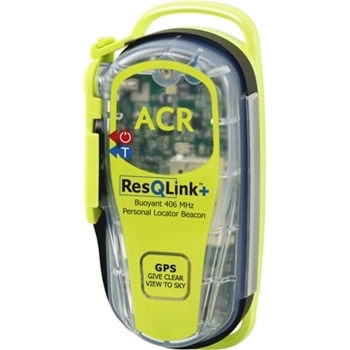 – Waterproof to 5 Meters, small and compact in size and a battery life of 24+ hours @ -4 degrees F. The ACR 2881 is a slight upgrade to the 2880 because it floats. Be sure to stay safe and don’t leave home without your PLB375! Please note all EPIRB's and PLB's are programmed for registration in the USA. If you are registering the device outside of the USA reprogramming will be required. Also, we apologize but we cannot accept orders for EPIRBS's or PLB's from Australia or New Zealand. Click here to read real survival stories and how ACR has saved lives. Self-tests circuitry, battery voltage and GPS acquisition. Has a Super Bright LCD Strobe.